Found in an old trunk that had been thrown away in Shreveport Louisiana 6 months ago. Thank you for submitting your item for appraisal. This appears to be a painting by Ferdinand KAUFMANN (1864-1942), depicting a harbour scene, possibly West Coast, Los Angeles area (?) in the 1930s. This is very hard to determin as he also painted on the East Coast. 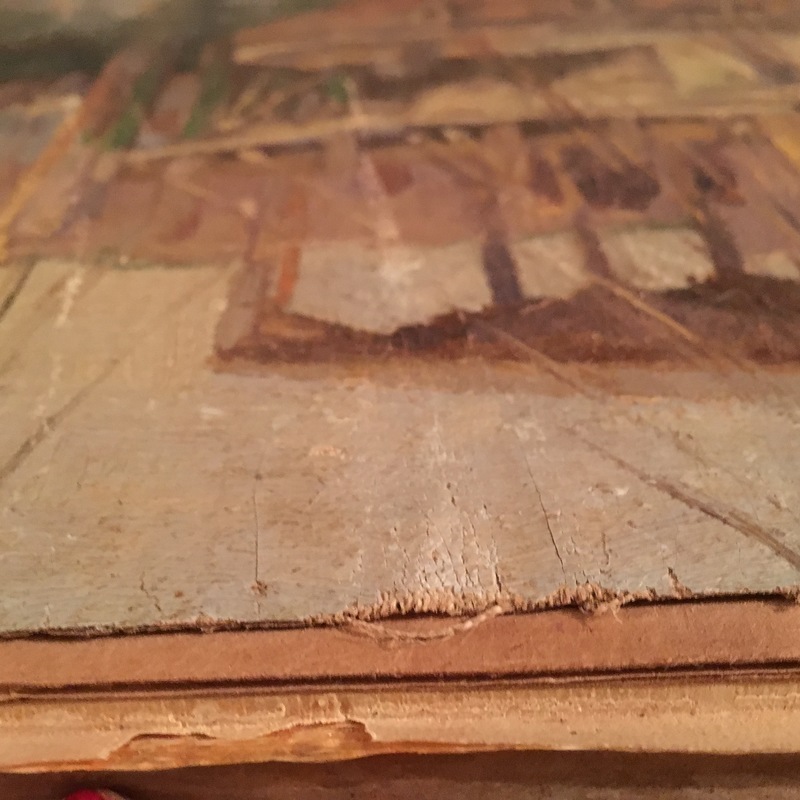 The painting was cut from the stretcher and must have been a little larger originally. There are a few losses at the edges and I would recommend to have it relined and put on a stretcher again. Overall it is a lovely painting which would need a little attention to unfold its full potential at auction. The estimate is based on similar items sold at auction. May I consign this painting with you? We cooperate with a number of well respected auction houses. I will pass your message on.